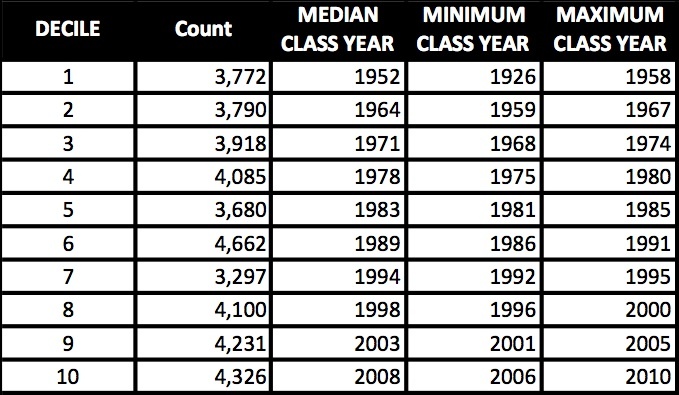 One responder to the question suggested narrowing down the pool by recent class years, reunion class years, or something similar, and also use any ratings, if they were available, and then do an Nth-record select on the remaining records to get to 25,000. 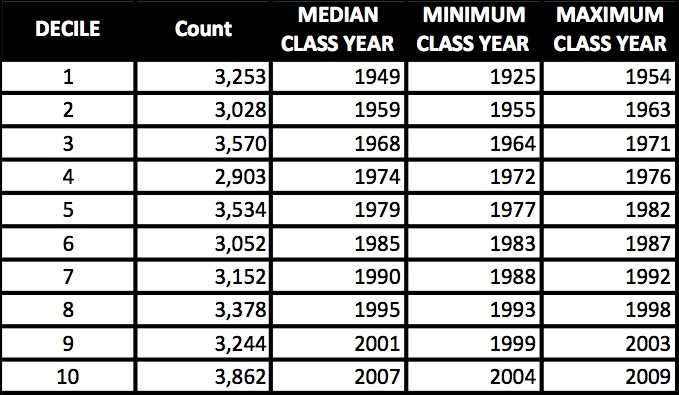 Selecting every Nth record is one way to pick an approximately random sample. If you aren’t able to make this selection, the responder suggested, then your mail house vendor should be able to. This answer was fine, up until the “Nth selection” part. I also had reservations about putting the vendor in control of prospect selection. 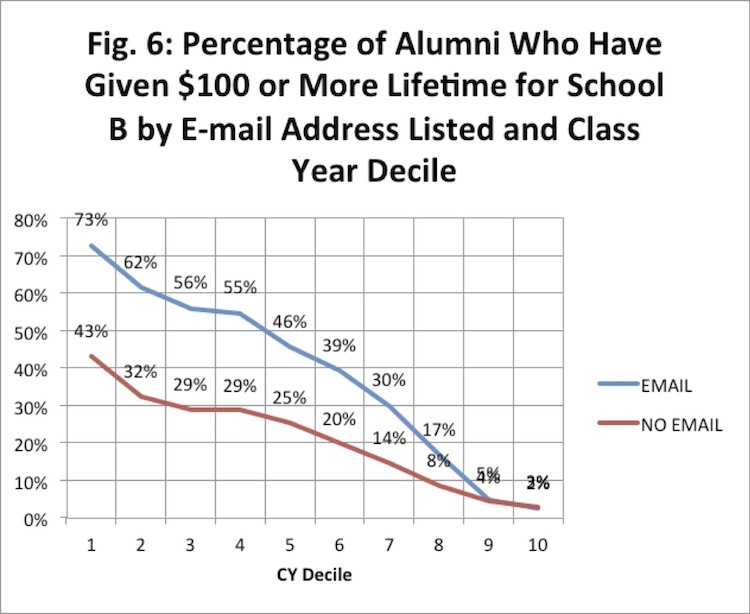 So here are some thoughts on the topic of acquisition mailings. 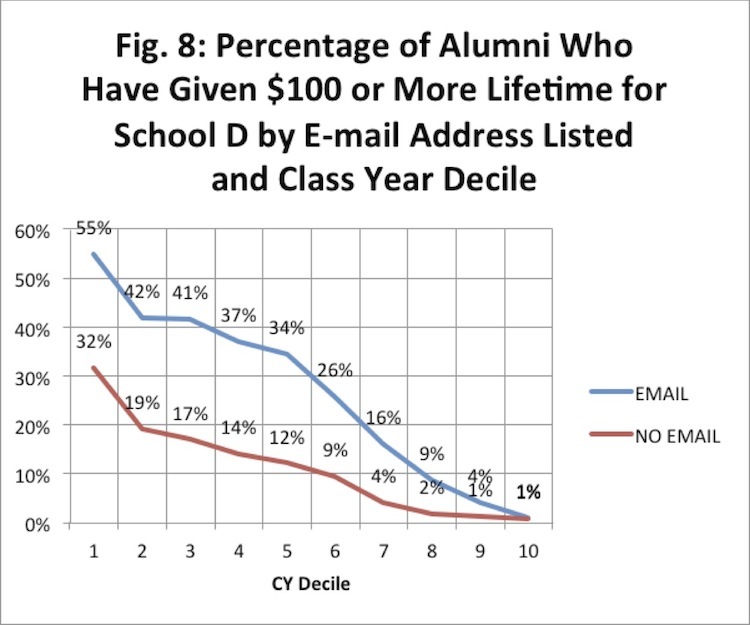 Doing a random selection assumes that all non-donor alumni are alike, or at least that we aren’t able to make distinctions. Neither assumption would be true. 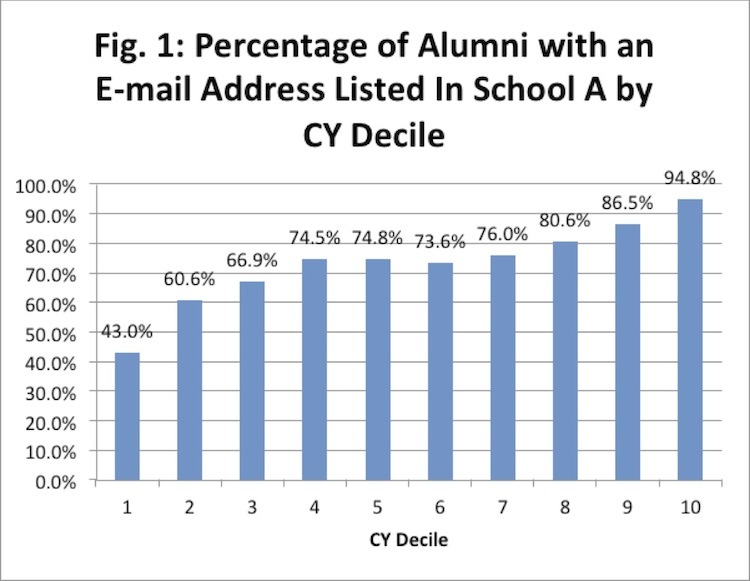 Although they haven’t given yet, some alumni feel closer affinity to your school than others, and you should have some of these affinity-related cues stored in your database. This suggests that a more selective approach will perform better than a random sample. 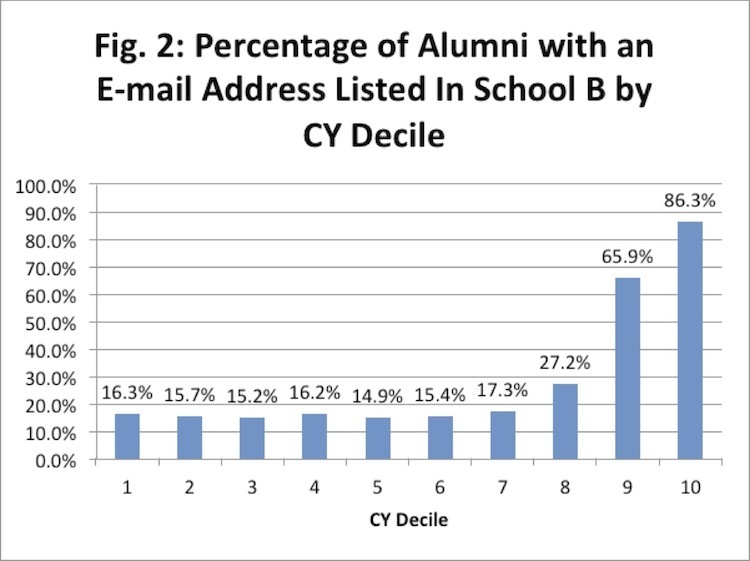 “Converters” were more likely than “non-converters” to have an email in the database. 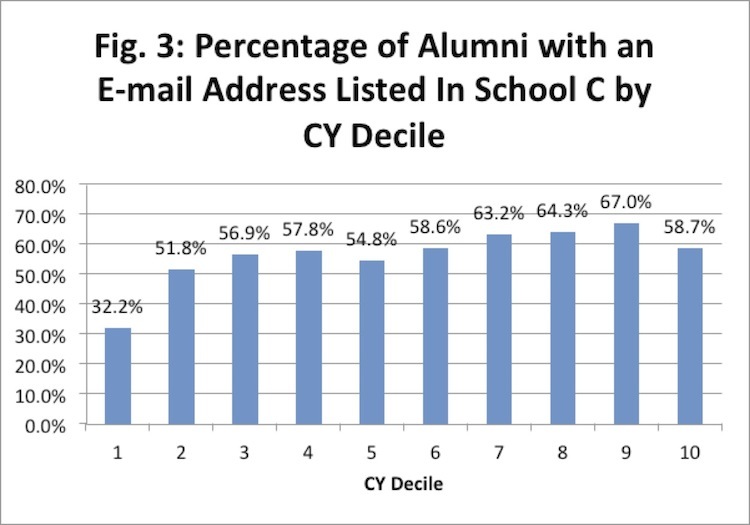 They were more likely to have employment information (job title or employer name) in the database. 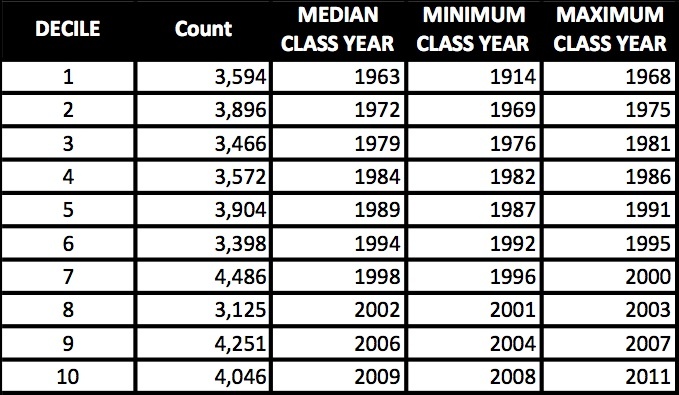 They were more likely to have attended an event since graduating. 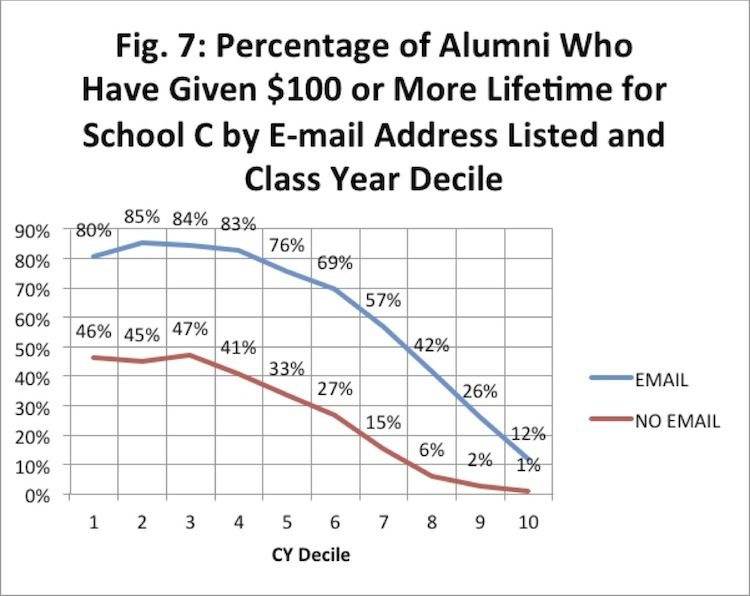 Using these and other factors, I created a score which was used to select which non-donor alumni would be included in our acquisition mailing. 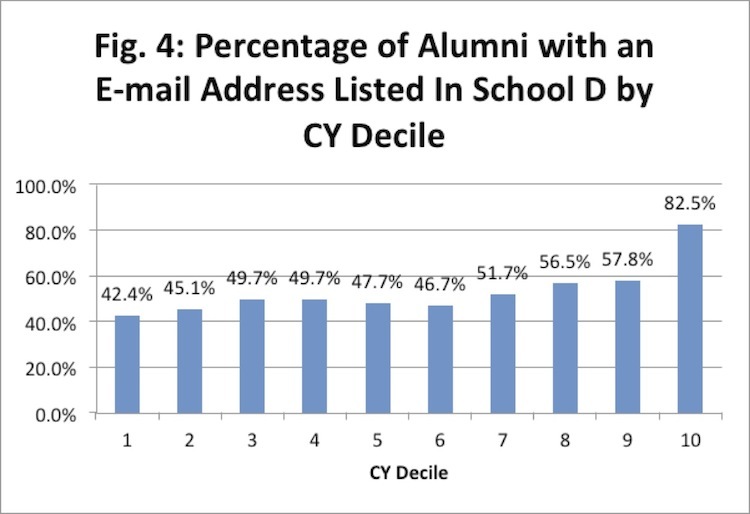 I’ve been monitoring the results, and although new donors do tend to be the alumni with higher scores, frankly we’ve had poor results via mail solicitation, so evaluation is difficult. This in itself is not unusual: New-donor acquisition is very much a Phonathon phenomenon for us — in our phone results, the effectiveness of the score is much more evident. Poor results or not, it’s still better than random, and whenever you can improve on random, you can reduce the size of a mailing. Acquisition mailings in general are way too big, simply because they’re often just random — they have to cast a wide net. Unfortunately your mail house is unlikely to encourage you to get more focused and save money. 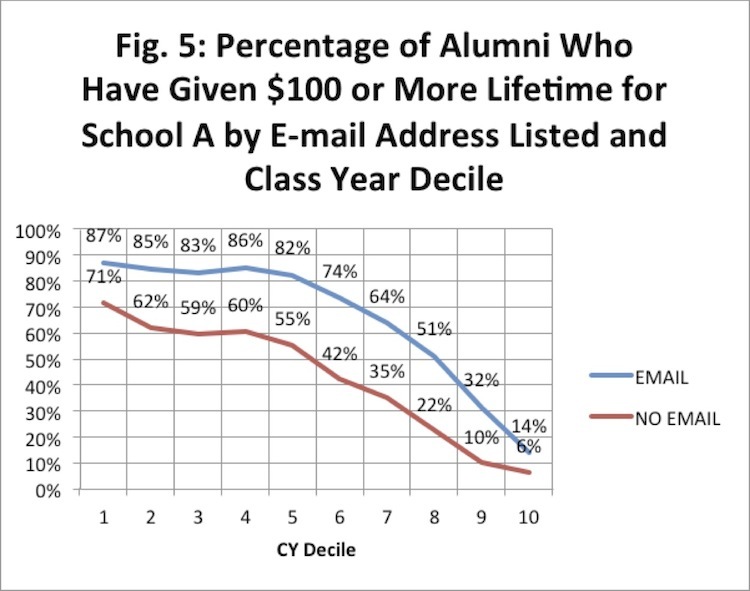 Universities contract with vendors for their expertise and efficiency in dealing with large mailings, including cleaning the address data and handling the logistics that many small Annual Fund offices just aren’t equipped to deal with. A good mail house is a valuable ally and source of direct-marketing expertise. But acquisition presents a conflict for vendors, who make their money on volume. Annual Fund offices should be open to advice from their vendor, but they would do well to develop their own expertise in prospect selection, and make drastic cuts to the bloat in their mailings. Donors may need to be acquired at a loss, no question. It’s about lifetime value, after all. 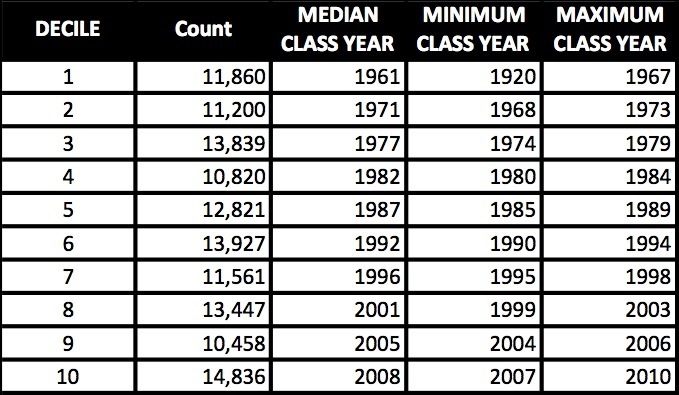 But if the cumulative cost of that annual appeal exceeds the lifetime value of your newly-acquired donor, then the price is too high.